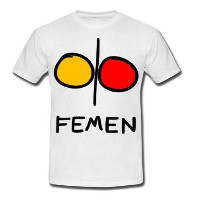 Femen is an feminist group, who fight for women rights, gay rights and equality. I know Femen since few month and i admire them for her courage and strength. This entry was posted in English on March 13, 2013 by FEMEN.